Hiya there! 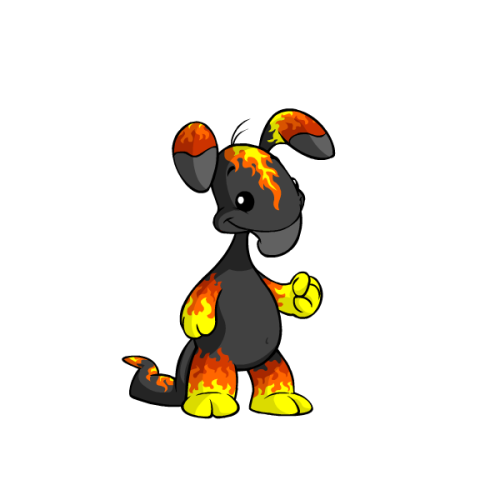 I'm Trudial, the fire blumaroo. You may know my brother, Triduo -- he's probably off sighing in a corner somewhere. Here I help my mom catalogue and organize coding guides and premades that were created by neopians just like you. If you find this page helpful, I hope you come back soon to visit again or pass it on to the next person in need. Enjoy your stay! Some petpages have combined content, where they offer content that applies to many areas. As a result, you may notice that some links show up a couple times in various sections. If you have your own page to contribute, know of somebody else's to recommend, or spot a dead link, please don't hesitate to forward me a neomail with the URL of the page. Basics If you ever wanted to learn how to code, these links are the place to start. These guides baby-walk you through, step by step, the fundamentals. Grab & Go No time to read through paragraphs? These guides provide the codes for you to tweak; simply copy and paste. May require basic-intermediate knowledge of HTML/CSS. Reference MaterialForgot how to properly format a code? Need to look up property attributes or selectors? These petpages can help. Anchoring & Image Mapping Learn how to create an illusion of a page within a page on the same petpage (say that 3 times fast!) and how to make parts of images clickable. Coding Filters Does your petpage/lookup look like a train wreck due to TNT's latest filter update? Can't find the save changes button? Take a look at these. Advanced Introduces advanced techniques for navigation and spiffy hover codes. If you ever wanted to learn how to code, start with the Basics. Grab & Go coding guides provide copy/paste codes for convenience with laconic explanations. Reference material lists property attributes and its values as well as selectors much like a dictionary or encyclopedia. Anchoring guides teach how to create a page within a page, while Image Mapping shows you how to make parts of an image clickeable. If your code has been invalidated, check out Coding Filters for troubleshooting. Finally, the Advanced section lists pages that demonstrate techniques for dropdown menus and hover coding, as well as a more indepth discussion on coding. Petpages Geared toward on teaching you how to build a petpages. Prior basic knowledge of HTML/CSS may be required. User Lookup Help Learn how to edit your own userlookup by learning the names and how to manipulate the selectors of neo's code. Prior basic-intermediate knowledge of HTML/CSS required. Pet Lookups A lot of pet lookup code overlaps with userlookup coding, so it's helpful to study userlookup coding. Prior knowledge of basic-intermediate HTML/CSS may be required. Shop/Gallery Layouts These guides are generally of the grab & go variety and/or provide a base code explaining how to edit it. Guild Layouts Geared toward on teaching you how to build a guild layout. Prior intermediate knowledge of HTML/CSS may be required. Simple, CSS based premade layouts tend to lean toward minimalism and allow for versatile editing. Graphic-based premades are image-based layouts created with the aid of GIMP or Photoshop; while they have less flexibility in terms of personalization, the work is already cut out for you. Petpages (Simple, CSS based) Perhaps less is more: these premades learn toward minimalism. Flexible for editing and changing the appearance/colors. Petpages (Graphic) The aesthetics of these layouts rely on the colorful imagery from GIMP/Photoshop. Not as flexible for editing and changing the appearance/colors, but the work is already cut out for you. Pet Lookups (Simple, CSS-based) Perhaps less is more: these premades learn toward minimalism. Flexible for editing and changing the appearance/colors. Pet Lookups (Graphic) The aesthetics of these layouts rely on the colorful imagery from GIMP/Photoshop. Not as flexible for editing and changing the appearance/colors, but the work is already cut out for you. User Lookups (Simple, CSS based) Perhaps less is more: these premades learn toward minimalism. Flexible for editing and changing the appearance/colors. User Lookups (Graphic) The aesthetics of these layouts rely on the colorful imagery from GIMP/Photoshop. Not as flexible for editing and changing the appearance/colors, but the work is already cut out for you. User Lookups (Non-Neo Related) Includes movie, tv show, celeb, and anime/manga themed. Shop/Gallery Layouts Both graphic-based and css-based layouts offered. Guild LayoutsNot that many premade guild layouts out there. Ho hum. Links were compiled from Soroptimist, from Rita1111's personal stash of links, from snooping around the HC, and generally being a creeper by stalking 1337 coders' petpages. Layout design and organization inspired by Searchneo, my favorite link directory page ever. Wood floor stock image by braddamy from dA.